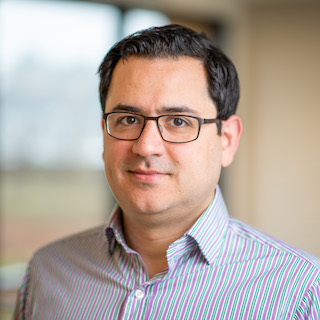 Ali Farhadi is the Senior Research Manager for the Perceptual Reasoning and Interaction Research group at AI2. 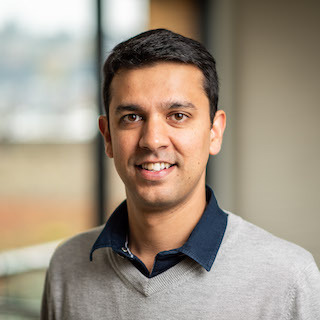 He is also an Assistant Professor in the Department of Computer Science & Engineering at the University of Washington. Prior to this, he was a postdoctoral fellow at the Robotics Institute at Carnegie Mellon University working with Martial Hebert and Alyosha Efros. He received his PhD from University of Illinois at Urbana-Champaign under the supervision of David Forsyth. His research has been mainly focused on computer vision and machine learning. Santosh Divvala is a Research Scientist at AI2. His main interest is in computer vision, specifically the image understanding problem. His approach to this problem takes a machine learning perspective so as to leverage today's Internet-scale image databases. 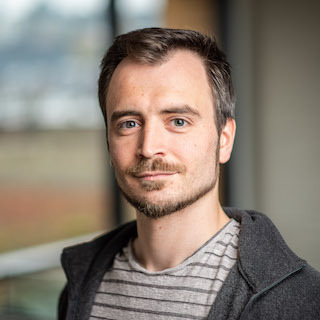 Prior to joining AI2, he was a postdoctoral research associate at the University of Washington. He has a Ph.D. in Robotics from the Robotics Institute at the Carnegie Mellon University. Roozbeh Mottaghi is a Research Scientist at AI2. Prior to joining AI2, he was a post-doctoral reseacher at the Computer Science Department at Stanford Univesity. He obtained his PhD in Computer Science in 2013 from University of California, Los Angeles. His research is mainly focused on Computer Vision and Machine Learning. More specifically, he is interested in scene understanding, visual models of physics, and hierarchical representations for objects and scenes. Ani Kembhavi is a Senior Research Scientist at AI2. His interests include textual and visual question answering, learning through interaction and collaboration and visual reasoning. He graduated from the University of Maryland with a PhD in Electrical Engineering in 2010, under the supervision of Prof. Larry Davis. Prior to joining AI2 he worked at Microsoft's Bing, building large scale machine learning systems in the Image and Video Relevance team. Eric Kolve is a Principal Software Engineer with interests in machine learning and distributed systems. 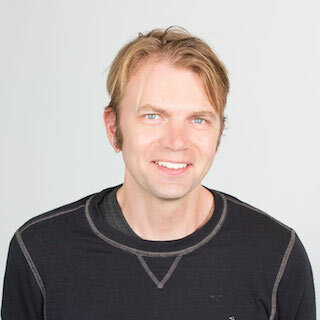 He has over 15 years of engineering experience working with startups in advertising as well as a quantitative hedge fund developing scalable distributed systems. 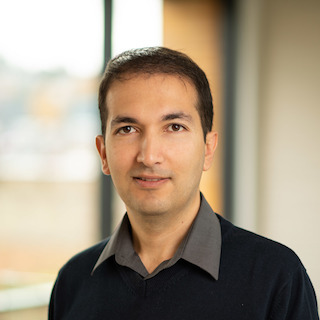 Mohammad Rastegari is a Research Scientist at AI2. 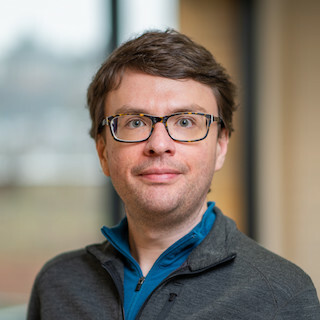 His main area of research relies on the intersection of Computer Vision and Machine Learning. Previously, he was a Facebook Fellow, a visiting scholar at UC Berkeley, and a PhD candidate at University of Maryland. Mohammad received his Bachelor's Degree from Shomal University of Amol, and his Master's Degree from University of Science and Research in Tehran where he was also a member of the computer vision lab at the Institute for Research in Fundamental Science. Dustin Schwenk is a Research Engineer at AI2. Previously he lived in the world of multiphysics simulation and high-performance computing, wherein he worked on computer models of colliding galaxies and solid rocket boosters. His current interests run in the direction machine learning and its applications. He has a degree in Engineering Physics from the University of Illinois at Urbana-Champaign. Mark Yatskar received his Ph.D from University of Washington. His interest are in the intersection of language and vision, language generation, and language grounding. With AI2 he has been developing a new formalism for events in images called situation recognition. 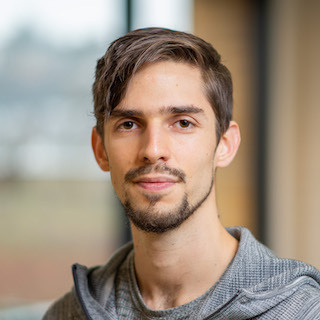 Luca is a Ph.D. candidate in the Department of Statistics at the University of Washington graduating in Spring 2018. Luca's research interests are at the intersection of causal modeling, visual reasoning, and safety. 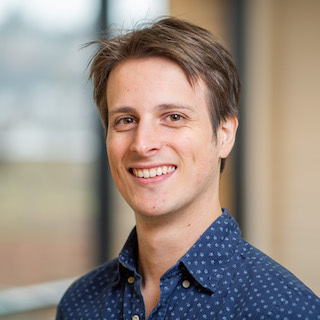 Before joining the University of Washington, Luca completed his undergraduate degree in Mathematics, where he was awarded the departmental distinction, at UC Berkeley. Beyond research, he enjoys bouldering, eating, and trying new things. 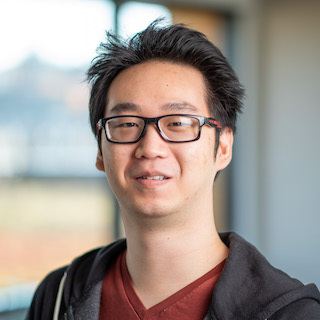 Having received a Bachelor of Arts in Game Design from the DigiPen Institute of Technology, Winson Han hopes to bring modern Game Design principles to the Computer Vision team. His focus on User Experience, Game Feel, and Game Mechanics Design bridges the gap between immersion in a digital space and the potential of real world applications. Along with Game Design, his interests include piano, digital art, and playing games—MMOs being his favorite. Jordi received his Ph.D. from the Universitat Politecnica de Catalunya (Barcelona) in September 2011 and two M.Sc. 's, in Research on Information Technologies and in Telecommunication Engineering, from the same university in 2008 and 2006. Before joining AI2, he worked for Technicolor R&I and Amazon as a research scientist. His research interests range from multi-view reconstruction and machine learning-based image processing to applications of deep learning with main focus on computer vision. Besides research, he loves cooking, hiking, every piece of art of the Romantic era, science fiction and graphic novels. Alvaro Herrasti received a B.S. in computer science and engineering at ITESM in Mexico City. After graduating, he worked at Microsoft's Xbox Live Team. 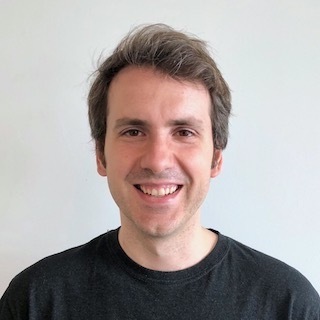 Alvaro's interests include machine learning, AI applied to interactive environments, computer vision and natural language hybrid tasks, graphics and game design. He is fond of music; from listening and collecting records, to DJing and production. Eli VanderBilt graduated from the University of Idaho in 2012, with a Bacheolor of Science in 3D Art and Animation. Since then, he has worked as an artist in the fields of gaming, virtual reality, a nd architecture, with an emphasis on visual storytelling through player interaction. His hobbies include traveling, film study, fantasy/sci-fi literature, and arts & crafts. Mitchell Wortsman received his Sc.B. in Applied Mathematics-Computer Science from Brown University in May 2018. His research interests are in machine learning and computer vision. Outside of research, he loves all things music, hiking, travel, and reading. Vivek Ramanujan received his Sc. B in Mathematics and Computer Science from Brown University in May 2018. His research interests at AI2 are at the intersection of computer vision, RL, and machine learning. As is a prerequisite for a PNW native he enjoys hiking and climbing, along with tennis, cooking, and reading (usually simultaneously). Sarah Pratt received her Sc.B. in Applied Math and Computer Science from Brown University in May 2018. 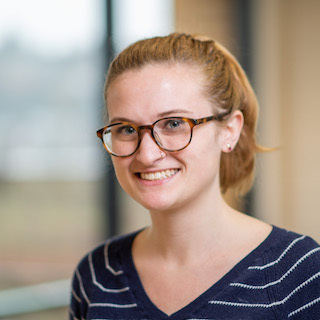 Her research interests include Machine Learning and computer vision. When not doing research, she enjoys painting and spending time outside.